The 64th Season of Opera in the Ozarks at Inspiration Point is back, June 20th through July 18th! Add a bit of culture to your Eureka Springs vacation at this unique, air-conditioned outdoor venue. 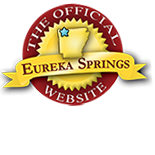 This entry was posted on June 15, 2014 by service424 in Arts & Culture, Attractions, Festivals, Things to Do and tagged Arkansas, Eureka Springs, local culture, Outdoor, Top 25 Arts Destination.